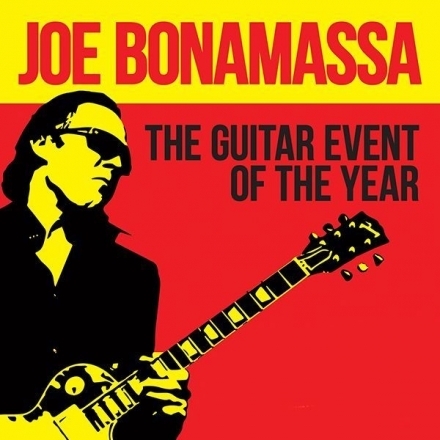 Two time Grammy-nominated blues-rock guitar icon Joe Bonamassa announces his new US Spring tour dates for 2018 in support of his latest live album, British Blues Explosion Live (J&R Adventures), which will be released in May. Hailed worldwide as one of the greatest guitar players of his generation, Joe Bonamassa has almost single-handedly redefined the blues-rock genre and brought it into the mainstream. The tour kicks off October 26th & 27th with 2 Shows at the Shea's PAC in Buffalo, NY and will hit 20 other cities in the US and Canada through December 1st, 2018 including St. Louis on November 10th at Peabody Opera House. Tickets will range from $99-179 and will go On Sale to the public on Friday, April 6th at 10:00am local time. To purchase tickets, please visit: www.jbonamassa.com/tour-dates. Tickets can also be purchased at www.ticketmaster.com or by phone at 800-745-3000. Backed by a stellar band of legendary musicians including Anton Fig on drums (Letterman, Ace Frehley), Michael Rhodes on bass (Faith Hill, Randy Travis), Rock & Roll Hall of Famer Reese Wynans on piano/organ (Stevie Ray Vaughan & Double Trouble), Lee Thornburg on Trumpet (Tower Of Power), Paulie Cerra on saxophone and amazing Australian back up vocalists: Mahalia Barnes and Jade McCrae to bring a whole new life to the show which will feature new songs alongside career-spanning favorites. By exceeding his own vertiginously high artistic goals, Bonamassa has shattered all expectations with this record and has reached new audiences - no mean feat when you continue his astonishing track record of releases, which now includes 19 #1 Billboard Blues Albums (more than any other artist in history). Bonamassa's career in the music industry has built steadily over the years and is only gaining more momentum.